The Mijia Sneakers 2 comes packed with an Intel Curie chip which the company explains can process user’s fitness data while on-the-move like walking, running or doing any other rigorous activity. The Mijia Sneakers 2 features a 5-in-1 uni-moulding design which includes a thin polyurethane film that separates each mould. 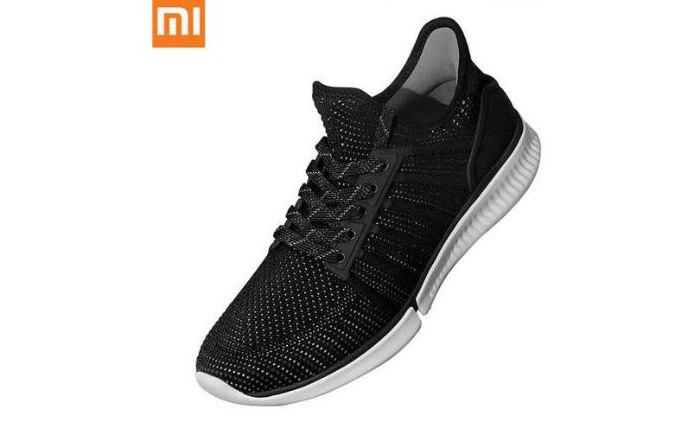 The Mijia Sneakers 2 comes packed with a rubber sole, Amazfit Intelligent Chip 2, Bluetooth: 4.0, 6-axis sensor, Orange colour LED Light to show battery and binding information to the users. This is Xioami’s future. All the objects next to us will become smart in a few years. Shoes will not just be shoes. The refrigerator will not be just a refrigerator. Discussions will not be just between us and friends. Discussions with digital assistants will already be more and more complex. However, among the parenting groups is discussed the age at which it is recommended that children have access to technology. How can they be accommodated later? Parenting cards should be rewritten by people who understand technology and its implications. Even though in the last few weeks we have witnessed a high attention on the Indian market for consumers with low financial costs, this release confirms that even those with high financial strength are not forgotten.